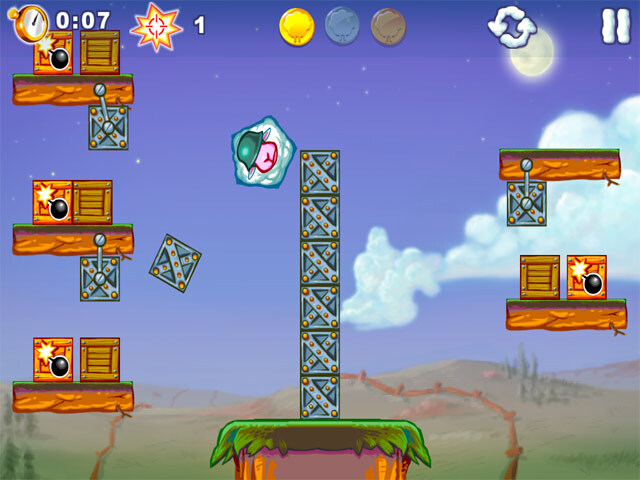 Save Private Sheep in this exciting and challenging Puzzle game! Can you successfully avoid the hungry wolf and make it home? 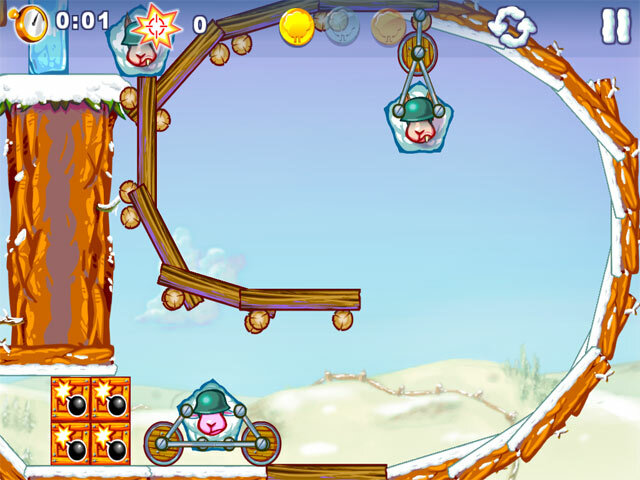 Find amazing powerups and transform Private Sheep into the power Super Mouton to make your travels easier. Earn countless awards and unlock bonus levels to push your skills to the limit in Saving Private Sheep! Saving Private Sheep is rated 5.0 out of 5 by 1. Rated 5 out of 5 by LizzieK from Physics puzzle lovers will like this one. I have played Angry Birds all the way through and I like this one as well if not better. This game has lots of humor and it’s not quite a violent as Angry Birds. 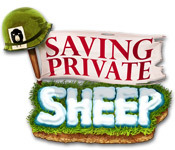 Saving Private Sheep is not a shooter or arcade game it is a physics puzzle game. It has good sound effects and music and a good amount of challenge in the puzzles. There are 25 puzzles in each of 8 locations, for a total of 200 puzzles. You can get one, two or three medals in each puzzle. You can skip puzzles but you have to complete about 80% of the puzzles in the previous levels to unlock the next higher level. Some new device or tool or obstacle is added in each of the locations. It is fun to see what will come next. The puzzles do get harder as you go through the game. I have been able to get 3 gold medals on all of the 200 levels of the game. Of course I had to replay some of the levels several times to achieve the 3 medals. Unfortunately BFG has classified this game as an arcade shooter game when it is really a physics puzzle game. I hope more puzzle lovers will be able to find this really fun game and give it a try. 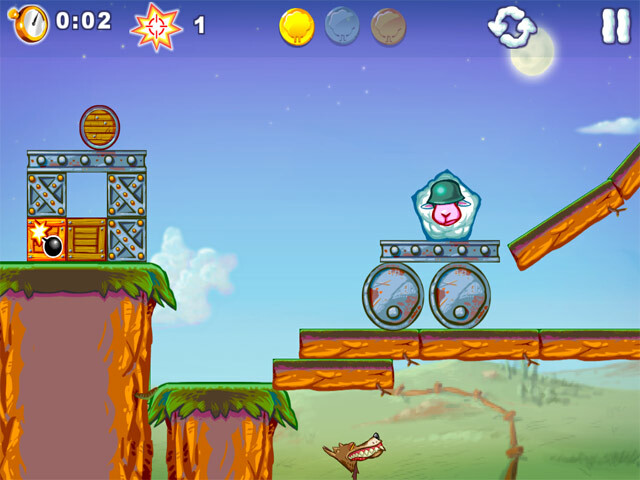 Save Private Sheep in this exciting and challenging Puzzle game! Can you successfully avoid the hungry wolf and make it home?